Caitlyn Scaggs, Polymer Solutions discusses how to managing change when dealing with bioabsorbable polymers. When it comes to bioabsorbable polymers, their ability to change, or degrade, is one of the stand-out characteristics that makes them the material of choice for medical device and drug delivery applications. However, like many things in life, the changeability of bioabsorbable polymers is a double-edged sword. It creates tremendous benefits to patients when used to promote healing. However, when formulated improperly or if exposed to adverse conditions during the manufacturing process, they could fail when in-use. Bioabsorable polymers are fascinating. They have the ability to degrade within the human body without adversely affecting living tissue. This makes them an ideal material for medical devices, implants, and drug delivery systems. These materials expedite healing without leaving behind a permanent medical device or materials, thus creating positive change without lasting negative consequences. 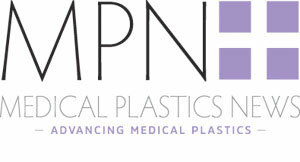 Some common bioabsorbable polymers used within medical applications include polylactic acid (PLA), polyglycolide (PGA), polycaprolactone (PCL) and their copolymers. The very properties that make bioabsorbable materials so desirable for medical device and pharmaceutical applications are also the properties that make these materials sensitive during processing. Bioabsorbable polymers are susceptible to temperature and moisture differences, a vulnerability that helps them dissolve inside a patient. However, temperature and moisture conditions during processing can also prematurely degrade the materials, negatively affecting the material’s in-use performance. Specifically, moisture and heat can alter the molecular weight of the material, ultimately altering the mechanical properties. The end result is a degradation rate that is improper for the required application. If a material degrades too soon proper healing may not occur. If a material takes too long to degrade a buildup of degradation products can occur, also threatening the patient’s health. The performance of bioabsorbable polymers in medical devices and implants is, quite often, literally a life-and-death matter. Device makers and material suppliers must carefully manage how their material or devices change in the human body. There is tremendous benefit to conducting surveillance testing or lot release testing, to proactively ensure materials and devices will perform as expected. Some of this testing is required by regulatory bodies but additional testing should be initiated, understanding that preventatively assessing problems reduces long term costs. Medical device recalls are costly and can produce irreversible negative PR. The reality of negatively impacting a patient’s well being is also a consequence that should be avoided at all costs, because that is the moral things to do. Karl Fisher titration can determine moisture content and identify moisture contamination. Gel permeation chromatography/size exclusion chromatography determines molecular weight of polymer samples. Residual monomer analysis via gas chromatography can identify potential toxicity issues caused by the presence of residual monomers. Degradation and ageing studies can aid in understanding how long a bioabsorbable polymer may retain its integrity in patients’ bodies prior to degradation. Additionally, once degradation has begun the length of time required for the material to be partially and completely absorbed can be determined. Nuclear magnetic resonance spectroscopy analysis, can determine comonomer ratios. Liquid chromatography/mass spectrometry can be used for extractables and leachables testing. This ensures that during processing or while in packaging nothing dangerous migrates into the material. Being able to manage and mitigate change is valuable across a number of areas of life, to include the use of bioabsorbable polymers. This can be accomplished by proactively assessing performance characteristics through a robust testing protocol. In doing so, manufacturers can be confident that these amazing materials will have a safe and positive impact on patients’ health and well being.